From waking up babies to welcoming salesmen, doorbells can be one of the most annoying parts of a home. But doorbell cameras are an excellent upgrade for your house, and we want to help you find the best one. We compare Ring vs August vs SkyBell in different categories to easily see how they are different. Keep an eye out for our overall winner at the end. Each of these smart doorbells (Ring Pro, August, and SkyBell HD) are similar in some ways as the top video doorbells. All of them have two way audio to speak and listen to whoever is on your doorstep. None of them require any extra hardware and they will all work on your iOS or Android phones from any location. They all must be wired for power because they don’t have batteries. They also each have a silent mode to not wake up that baby. So you don’t have to worry about these categories when comparing Ring vs August vs SkyBell. Winner: SkyBell HD. SkyBell HD covers all angles at 180 degrees and a crisp 1080p video quality. It has night vision but unlike Ring Pro’s night vision, it captures color. This can be important to help identify a car of a burglar who is there at night. Winner: Ring Pro. 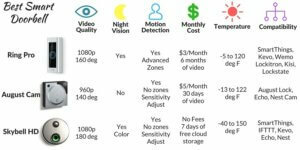 Ring Pro easily takes the cake in this comparision with its advanced zone detection. You can highlight the screen or area where you want to detect motion. This will dramatically reduce the false alarms because it won’t pickup the mail man. Possibly a deal breaker for some because false motion detections are very annoying. Winner: SkyBell HD. SkyBell HD is the clear winner due to the free 7 day cloud storage and no fees. The fees add up over time, especially for a doorbell that might have to be upgraded in the future. Ring Pro has 6 months of cloud storage which is nice, but may be a bit excessive unless it’s a vacation home. Winner: SkyBell HD. SkyBell HD covers all climates from the extreme heat to the extreme cold. Ring Pro can’t handle the cold and might not survive where I live. Maybe I should move somewhere warmer? Winner: Tie between Ring Pro and SkyBell HD. Ring Pro is compatible with a lot of locks. This makes it easy to open the door from the Ring app. SkyBell has IFTTT compatibility which will allow a large range of device integration. Check out SkyBell’s IFTTT channel to view all possibilities. It also works with Echo, which Ring Pro still isn’t compatible with yet. SkyBell also has a really cool feature when connected to Nest Protect to change the doorbell color if it’s not safe to enter the house. August works with the August door lock, which allows you to easily unlock the door in the same app when guests come ring the doorbell. SkyBell HD has a great camera and can record in color at night. It can withstand the extreme cold and heat. The free cloud storage is a big cost saver because those subscriptions add up over the years. Being compatible with Alexa, you can give it commands like “Alexa, tell SkyBell to record video” or “Alexa, tell SkyBell to turn on quiet mode.” There is an IFTTT channel for SkyBell which can do things like turn on the outside light or flash inside lights from a doorbell ring. To top it all off, it can open a Kevo door lock as well. For all those reasons it comes on top in the comparison of Ring vs August vs SkyBell. 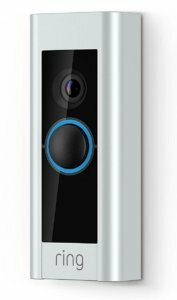 The Ring Pro is the best looking of the doorbells and has a really good camera. The advanced zone detection really does decrease those false motion detections which can get annoying quickly. It’s compatible with a lot of locks, but it doesn’t have a free cloud storage option. If $3 a month or $30 a year isn’t a big deal and you don’t live in extreme temperatures, then Ring Pro is a great option since it’s the most popular smart doorbell available. If you’re interested in the differences between the Ring devices, check out Ring vs Ring Pro vs Ring 2. 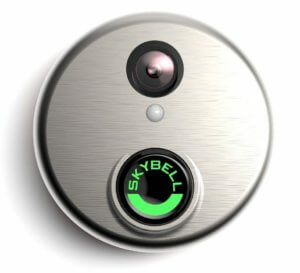 August Doorbell Cam is a perfect companion if you have August Door Lock. It’s a little more expensive for cloud storage and you only get 30 days vs Ring’s 6 months of video playback. It isn’t the best camera and doesn’t have night vision. Unless you have the August Door Lock then we would suggest passing on this one. Well, there you have the comparison of Ring vs August vs SkyBell. Make sure you check out our full comparison of outdoor smart home products (including doorbells). If you know of anything we might have missed then please leave a comment below. I’d go for Skybell HD! 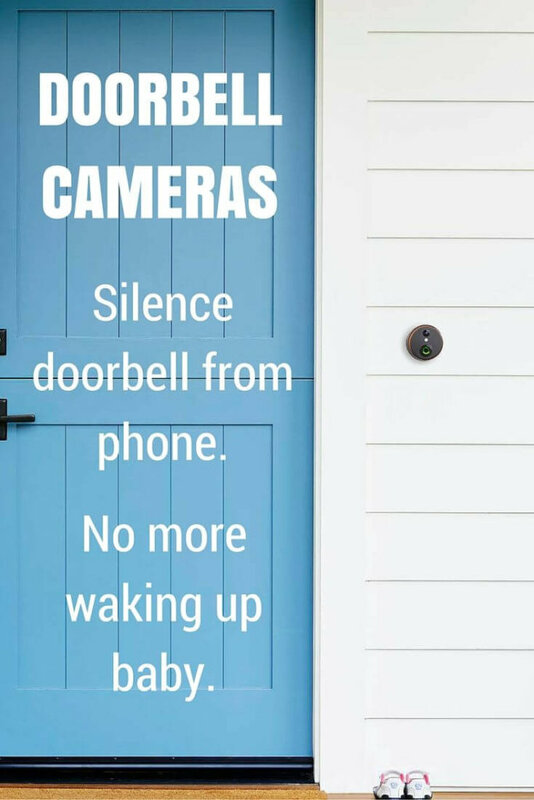 The fact that it can be integrated with Amazon Echo makes is superior to any other doorbell. If Ring includes such feature, it surely make it more smart and modern. As for Doorbird, I like it very much too. I,e been trying to decide between Ring and Skybell but the Amazon Echo, IFTT and now integration with Samsung SmartThings makes it a no brainer for me. is there always a fee each month? For Ring, yes it has monthly fees ongoing. SkyBell doesn’t require monthly fees and has 7 days of free cloud storage.